There is something impossibly romantic about Tahiti. When early explorers first discovered the French Polynesian islands (of which Tahiti is one) they were overwhelmed by the physical beauty of its inhabitants and amazed by their placid and easy-going nature. This territory, also referred to as the French Polynesia, counts 118 beautiful islands and all are as pristine today as they were when the first Europeans arrived. 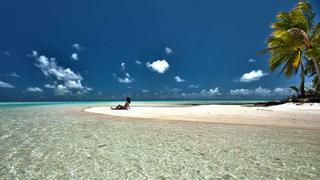 Nowadays, these islands are highly regarded as among the last untouched paradises on Earth. Visitors arriving by sea feel the same emotion that would have moved Captain Cook when he first spotted, what is now known as Tahiti. He was delighted at how easy it was to navigate among these islands and sail into the various lagoons through the passes naturally made in the coral fringed reef. Discover the well-balanced mix of Polynesian culture and luxury lifestyle in some of the lush mountainous islands and their high-end resorts but also the tucked-away atolls where you will feel like explorers on white sand islets. Enjoy the French heritage while dining in the finest restaurants or eating crusty fresh baguette. The usual preferred sets of islands to cruise on are the Society Islands and the Tuamotu atolls. The Society Islands with their amazing lush green mountainous peaks are the perfect place to enjoy pristine lagoons as well as land activities. Tahiti and her Islands being made of 99% of ocean is a lot about marine life. Should you be keen on diving, the Tuamotu atolls, are awaiting you for some of the most incredible dives in the world with the most exciting encounters and deserted white or pink sand beaches, absolutely perfect for a private desert island picnic or party. Cruising on a yacht will allow you to dive unspoiled areas or visit islets with not a soul in sight. A charter mixing both groups of islands is recommended to see the best of Tahiti and her Islands. Point Venus: A lovely spot to view the island – and the place where Captain James Cook took vital readings of the transit of Venus to unravel longitude and help with navigation. Moorea: Great for large pelagics, including whales at the right time of year.